I own so many lipsticks. Mostly because I love how much your makeup look changes when you switch up your lip color. I recently wrote about my favorite high end lipsticks (read here), and I thought I would share my favorite affordable lipsticks. I tend to buy drugstore lipsticks when I want to try out a new formula that I might not fall in love with, don’t want to wear regularly, or when I hear a lot of buzz. 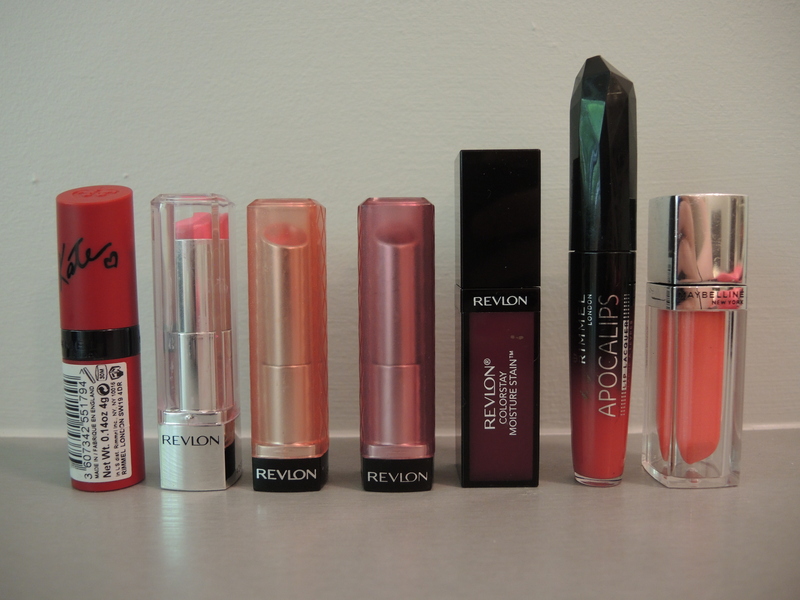 Most of my favorite drugstore lipsticks are from Revlon, I find they consistently have great formulas with excellent shades. 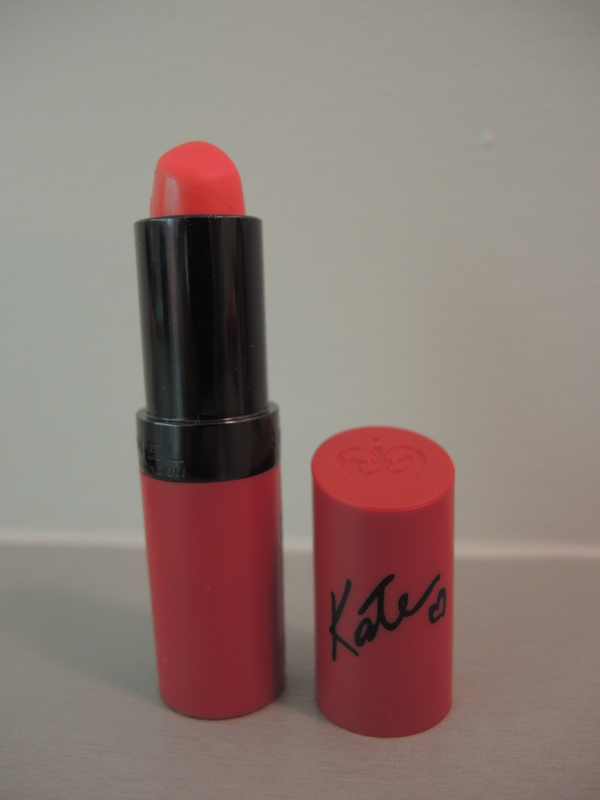 Rimmel’s Lasting Finish Lipstick by Kate Moss in shade 110 is a bright orange red. This lipstick has a matte finish but doesn’t dry out the lips, making this a good option if you are looking for a good everyday matte formula. Shade 110 is a very bold color that needs to be paired with a simple outfit and makeup, because of this I don’t wear this shade too often. 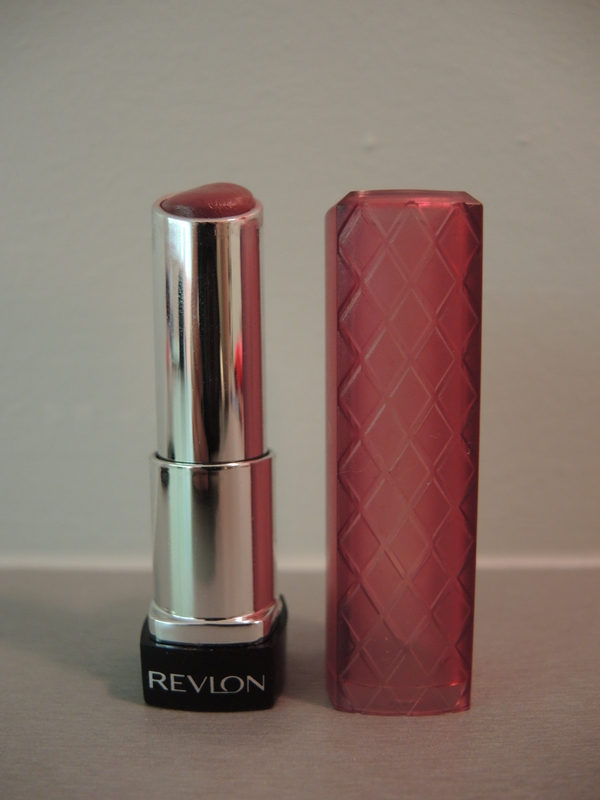 Revlon’s Ultra HD Lipstick in shade HD Peony 845 is a bright pink with a creamy finish and opaque color. 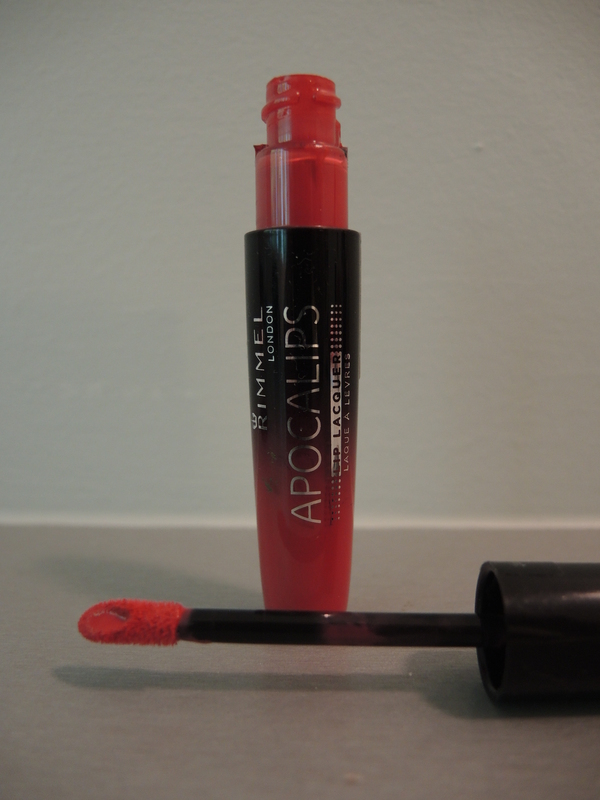 This is a great spring shade that will brighten your face and can be worn with almost anything. This is a nice everyday formula but I really don’t like the scent. 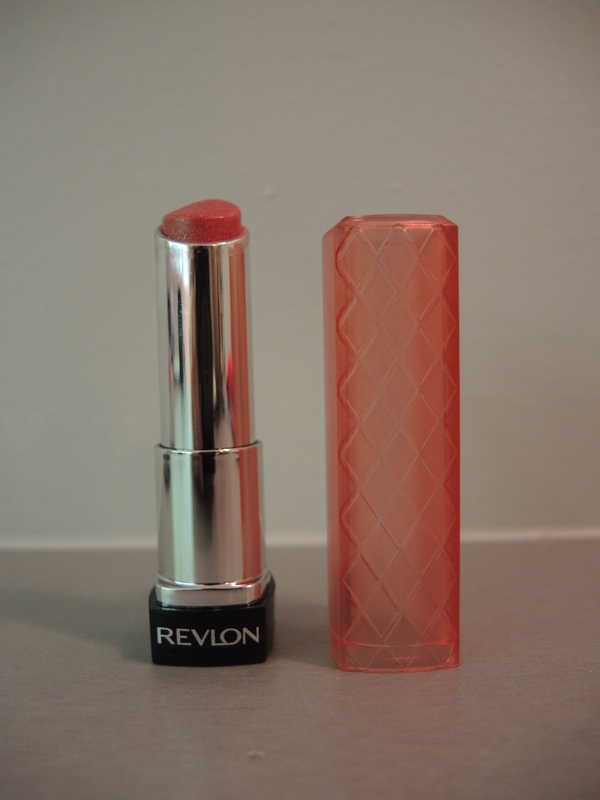 Revlon’s Colorburst Lip Butter in shade Peach Parfait 025 is a great everyday color. 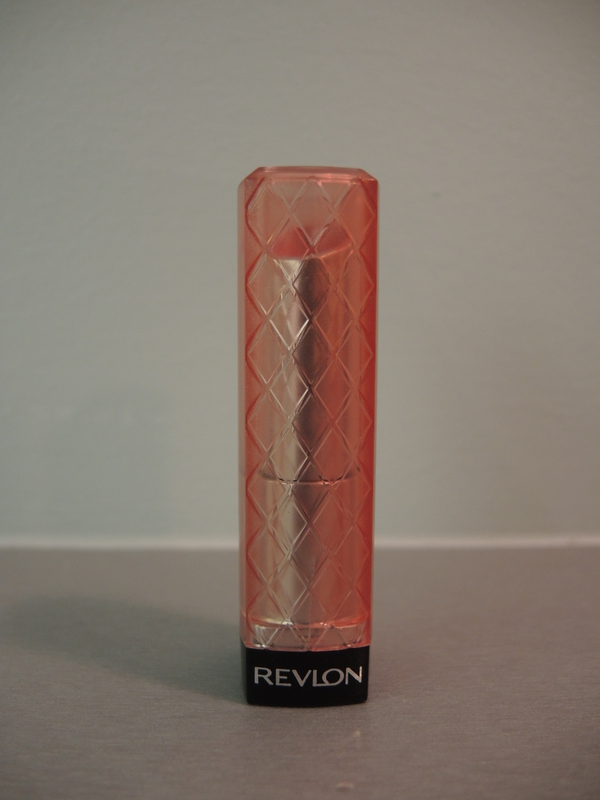 It has a moisturizing formula with a shimmery finish. 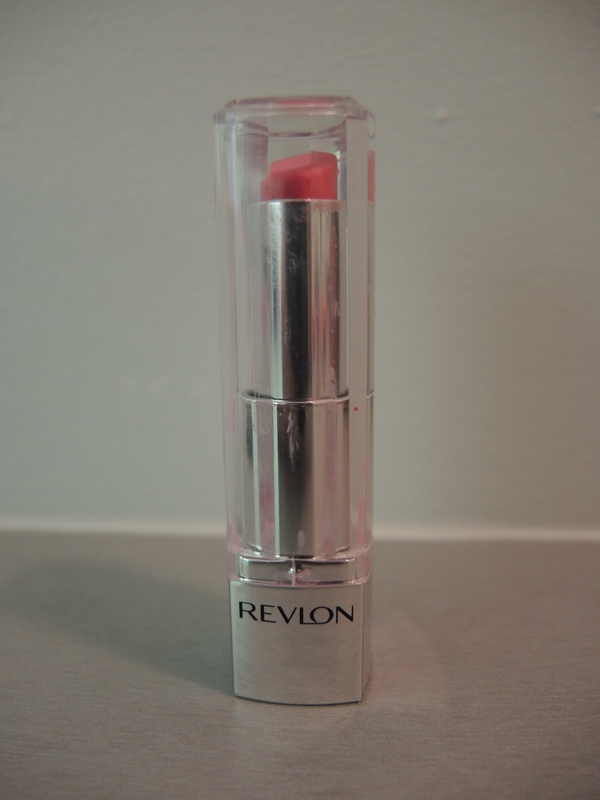 Revlon’s Lip Butters are my favorite lipstick formula at the drugstore because they are moisturizing, have a buttery feel, and wear beautifully on the lips. I own five shades in this formula and I highly recommend giving this a try if you haven’t already. If you don’t really like lipsticks this is a good formula to start with because it feels like a lip balm and doesn’t need to be reapplied very often. 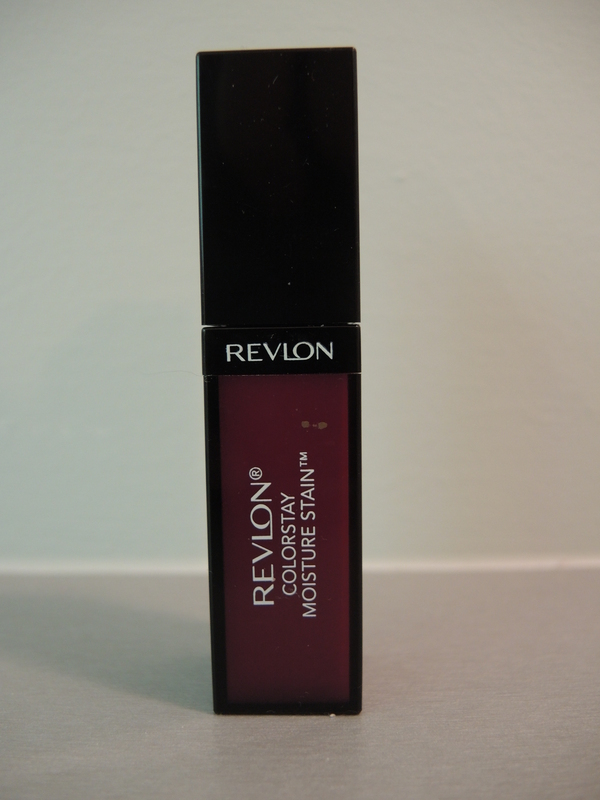 Revlon’s Colorburst Lip Butter in shade Sugar Plum 085 also has a shimmery finish and is my go to everyday lip shade in the fall. It has a slightly mauve shade and adds a bit of depth to your face, making this a good shade for when you want a subtly darker look. 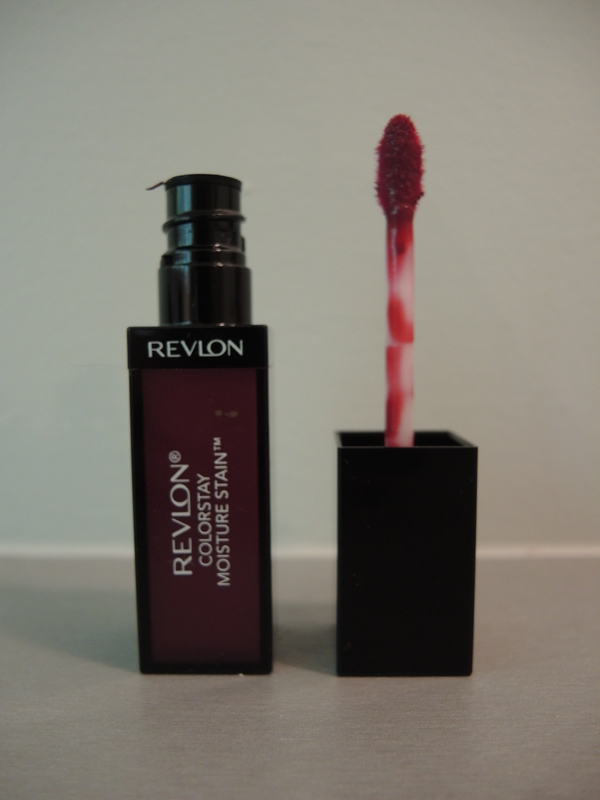 Revlon’s Colorstay Moisture Stain in shade Parisian Passion 005 is a deep burgundy shade with a slightly shiny finish that lasts forever. I tend to apply this with the doe foot applicator and then rub it into my lips using my fingertips, I find this creates a smoother finish that lasts longer. I love wearing this in the fall or when I want a dark bolder look. 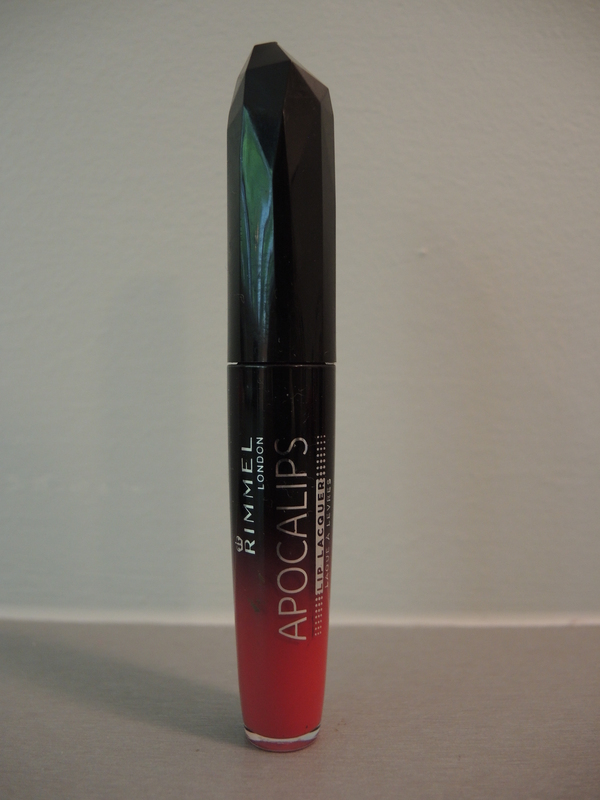 Rimmel’s Apocalips in shade Aurora 401 is another stain that lasts forever. 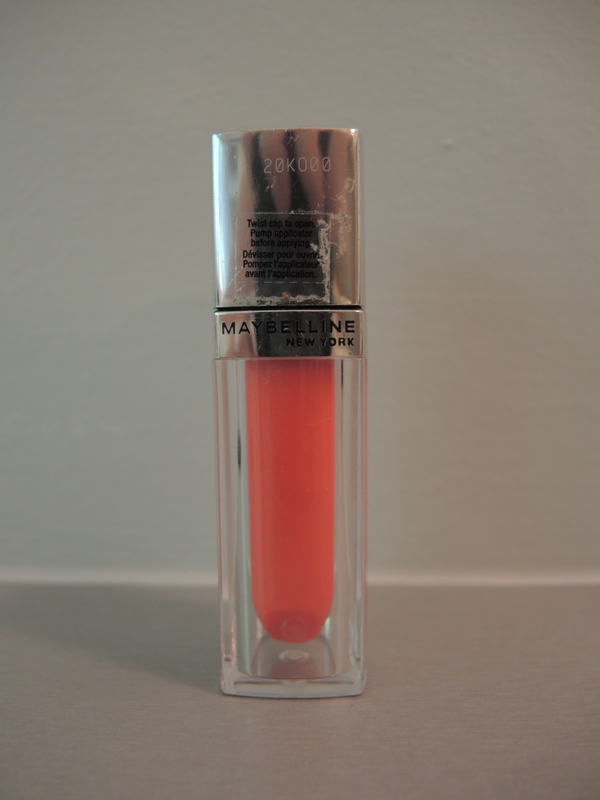 This dries matte and has a pink red shade that works well for my pale complexion. 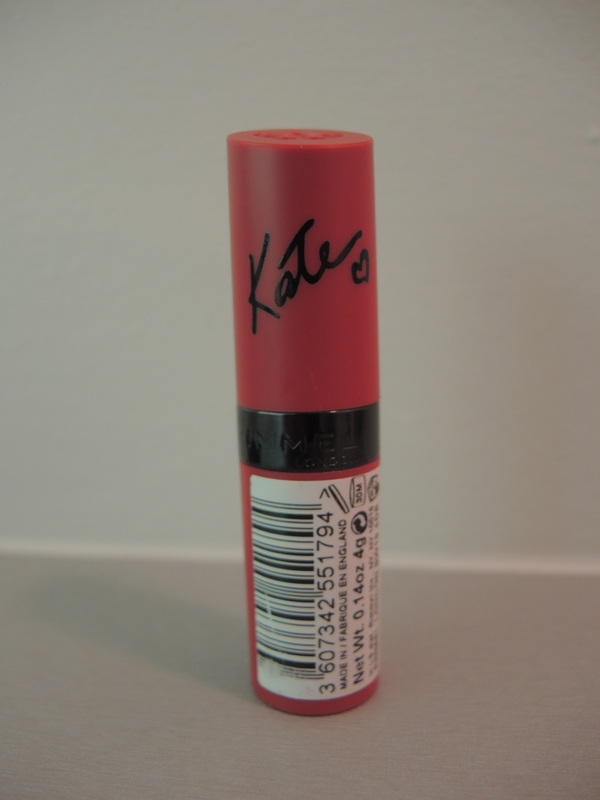 It does tend to dry out my lips so I don’t wear this very often. I bought this when it first came out in Canada, so if you are looking for this in the US it is called Show Off. 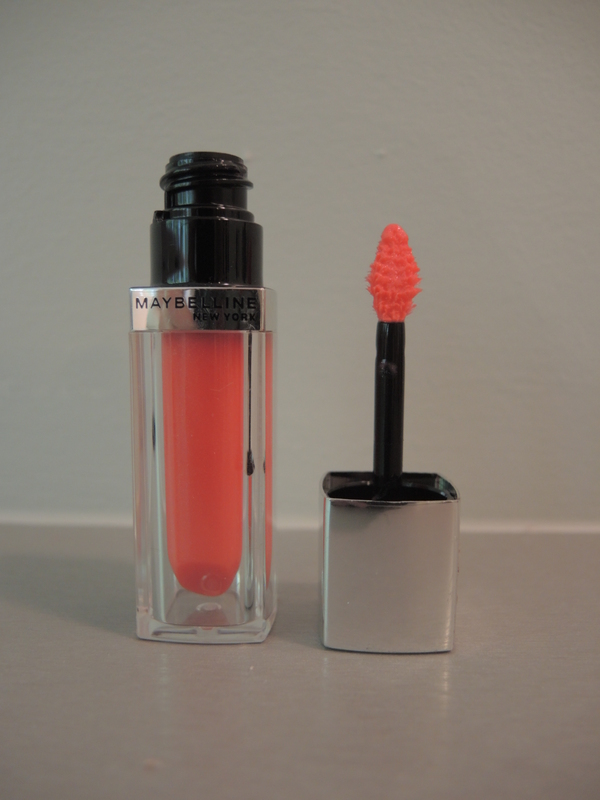 Maybelline’s Color Elixir in shade Breathtaking Apricot 005 is a orange pink shade with a shiny finish. 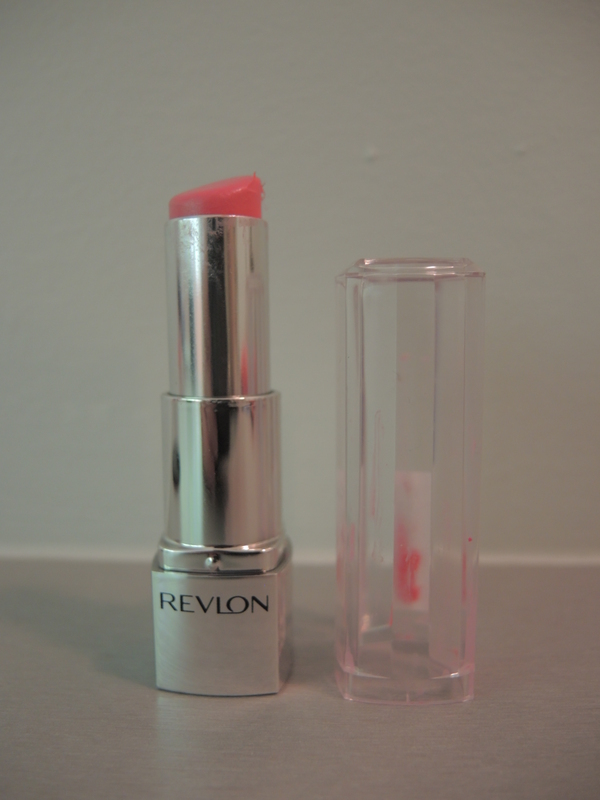 This lasts like a stain, wears like a lipgloss, and has the color payoff of a lipstick. 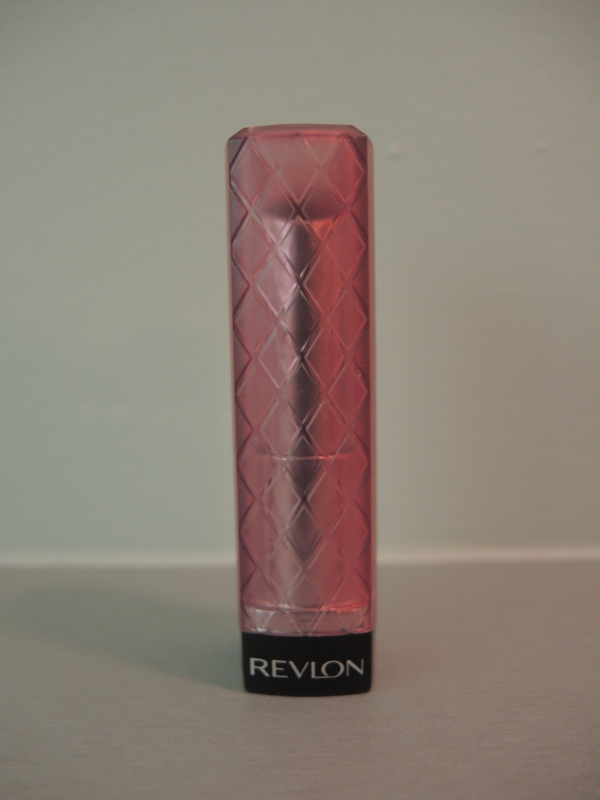 This is a good option if you want a lipgloss with good color payoff that lasts most of the day. 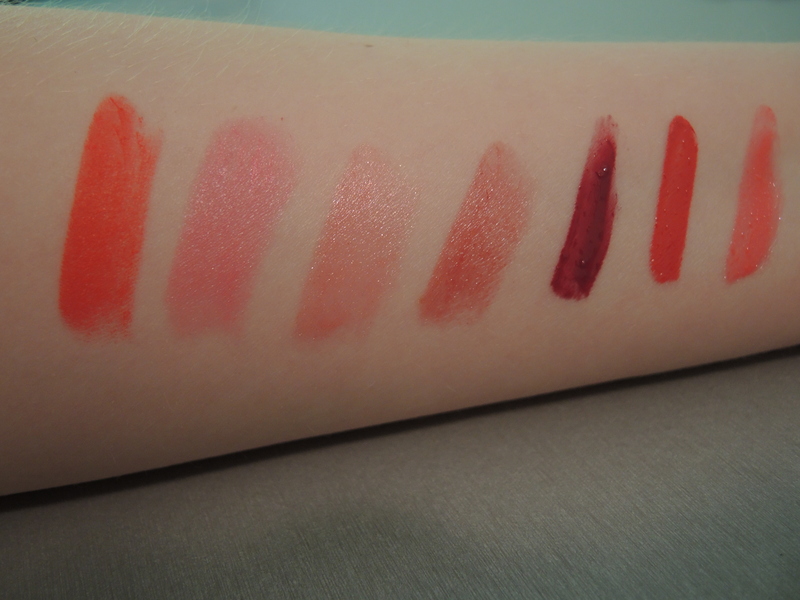 From left: Rimmel’s Lasting Finish in shade 110, Revlon’s HD in shade HD Peony, Revlon’s Lip Butter in shade Peach Parfait, Revlon’s Lip Butter in shade Sugar Plum, Revlon’s Moisture Stain in shade Parisian Passion, Rimmel’s Apocalips in shade Aurora, and Maybelline’s Color Elixir is shade Breathtaking Apricot.